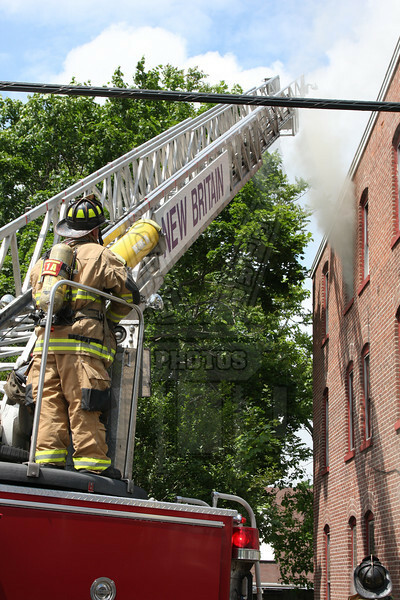 On 5/24/12 at 1045 hours the New Britain, Ct FD responded to 132 Oak St for a building fire. Car 3 reported heavy smoke showing on arrival followed shortly by the 2nd alarm. Fire was located in the basement of this vacant 3 story brick with colliers mansion conditions. The fire traveled the walls breaking out on floor 3 and through the roof. Hartford and West Hartford covered the New Britain stations.